This project tackles the problem of vision in participating media. It aims at restoring the visual quality of images taken in environments such as fog, rain, sand and water. Initially, we are targeting the underwater medium. 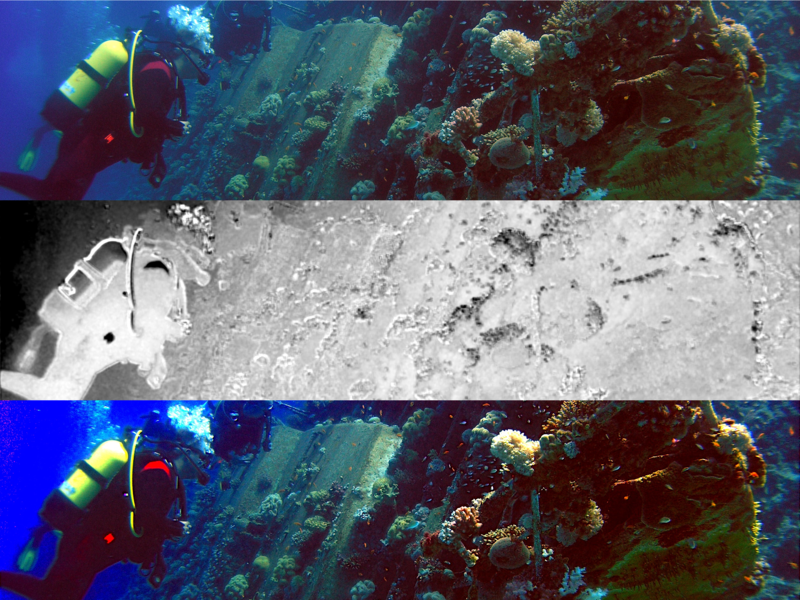 In other words, given an underwater image (i.e., an image acquired from an underwater scene), the objective is to extract relevant information about the objects observed in the image to estimate the transmission map. This map is a combination of the depth map and the medium attenuation coefficients. It can be applied in the image formation model to recover the visual quality of the image.